Men and women have searched for hair loss remedies for thousands of years. Ancient people tried every imaginable thing to cure hair loss. Famous Greek physician Hippocrates is rumored to have applied pigeon droppings to his scalp in hope to regain his hair. Recently, people like me, fed up with short and long-term side-effects of conventional medicines, started to turn to natural and alternative medicines. Here we will review some natural hair loss remedies including ancient Chinese and Indian herbs. Oiling your hair may be out of fashion nowadays, but people have been using oil on hair for thousands of years. Ancient Egyptians used castor oil, Indians preferred coconut oil, and Africans used olive oil to stimulate hair growth. At least one recent study shows that the oil application can help with certain types of hair loss. In 1998, a research group from Scotland published their research results of a randomized, double-blind controlled study investigating aromatherapy in alopecia areata patients, a condition in which the immune cells of the body start attacking hair-producing cells. The active group massaged their scalps daily with four essential oils (cedar wood, lavender, rosemary, and thyme) in a mixture of jojoba and grape seed oil while the control group massaged only jojoba and grape seed oil for seven months. Interestingly, 44 percent patients in the active group showed improvement as compared with only 15 percent in the control group. This is a small plum plant common to southeastern United States. It is believed that the therapeutic properties of the plant come from its brown-black berries. Several basic research studies have demonstrated that it blocks the enzyme 5-alpha-reductase, which converts testosterone to DHT, the male hormone responsible for male pattern baldness. Only one study investigating saw palmetto to treat male pattern baldness has been published in the medical literature. In this small study, six out of ten patients with androgenic alopecia benefited from the treatment. But this is a very small study to draw any conclusion about the effectiveness of saw palmetto. Saw palmetto has many potential side-effects. Most common side-effects include nausea, abdominal pain, diarrhea, and constipation. It is also associated with erectile dysfunction, breast enlargementor tenderness and loss of libido. Men who are taking hormone medication for hair loss such as Finasteride and pregnant and nursing women should avoid the use of saw palmetto. Roasted sesame seed is herbal food used for hundreds of years in Chinese medicine. It is believed to decrease hair loss and stimulate hair growth. Following are the two Chinese herbal remedies for hair loss with long histories. 1. He Shou Wu: This Chinese herb (also known as Polygoinmulfiflori and Fo Ti) is believed to stimulate hair growth and convert fine vellus hair to thicker terminal hair. It may also delay natural graying. This medicine is also used for strengthening weak bones, treating high blood pressure, and treating constipation. It is also thought to possess anti-aging properties. In 2002, a small controlled clinical trial was done using oral and lotion containing He Shou Wu. The results did favor the group who received the treatment; however, definitive conclusions from such a small study cannot be drawn. Recently, MHRA (Medicines and Health Care Products Regulatory Agency) in London released a warning about potential liver damage from the use of this medicine. The MHRA advised that people with elevated liver enzymes or liver disease do not use product without prior approval from their physician. 2. Dabao: A 1991 study in the Netherlands examined the effect of this traditional Chinese medicine on a group of 373 people with androgenic alopecia. After six-month period, they observed modest positive effects as compared to placebo. 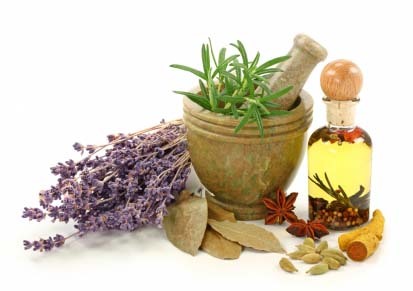 The practice of Indian “Ayurveda” medicine is believed to be over 5000 years old. This uses a number of herbs to help prevent hair loss. The following herbs are most popular to control hair loss. 1. Bhringaraj (Ecliptaalba): It is believed to promote new hair growth and bring natural hair color back. 2. Gotu kola (Centellaasiatica): It is commonly used to treat hair loss as well as to stimulate cells of the brain, believed to help with memory and longevity. 3. Tridaxprocumbens, amalaki (aamla in Hindi and Urdu), sandalwood (santalum), and licorice (Hlycyrrhizaglabra): All these herbs are used to control hair loss and stimulate hair growth. Before concluding our discussion, it is necessary to remember that “natural” does not always mean “harmless”. There is far less research and regulation involved in the products called “herbal” or “natural”. The labels can be misleading and the exact percentages of ingredients may not be mentioned on them. After being sure that it is safe, feel free to try the natural remedies for hair loss and find out the one or two which works best for you. Scroll down and fill out the free consultation form in order to take advice regarding natural remedies and whether they work for hair loss or not. Our professionals at Hair Transplant Dubai are experienced and they can answer all your questions regarding this matter.